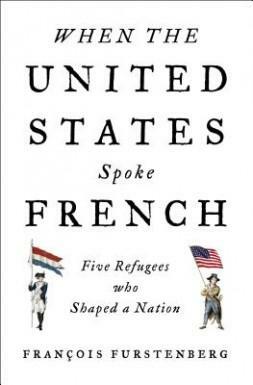 Mount Vernon welcomes author François Furstenberg to the Rubenstein Leadership Hall at The Fred W. Smith National Library to discuss his book When the United States Spoke French: Five Refugees who Shaped a Nation, on September 18, 2014. François Furstenberg follows these five men—Charles-Maurice de Talleyrand-Périgord, Napoleon’s future foreign minister; theorist reformer Rochefoucauld, the duc de Liancourt; Louis-Marie Vicomte de Noailles; Moreau de Saint-Méry; and Constantin-François Chasseboeuf, Comte Volney—as they left their homes and families in France, crossed the Atlantic, and landed in Philadelphia—then America’s capital, its principal port, and by far its most cosmopolitan city and the home of the wealthiest merchants and financiers. The book vividly reconstructs their American adventures, following along as they integrated themselves into the city and its elite social networks, began speculating on backcountry lands, and eventually became enmeshed in Franco-American diplomacy. Through their stories, we see some of the most famous events of early American history in a new light, from the diplomatic struggles of the 1790s to the Haitian Revolution to the Louisiana Purchase in 1803. François Furstenberg is Associate Professor of History at Johns Hopkins University. 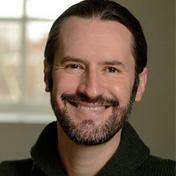 His research focuses on the history of the United States in the 18th and 19th centuries. His first book, In the Name of the Father: Washington’s Legacy, Slavery, and the Making of a Nation, examined how a complex and evolving image of George Washington in 19th-century print culture promoted U.S. nationalism, and what the image of Washington’s slaveholding had to say about the relationship between slavery and nationalism in the post-revolutionary period. This book was a finalist for the 2006 George Washington Book Prize. Other research interests focus on the early American West, on early American historiography and particularly on the historian Frederick Jackson Turner, and on larger strains of political culture and intellectual history. Attendees should park in Mount Vernon visitor parking lots and enter the library campus via the pedestrian gate near the 4-way stop. Mount Vernon has enjoyed a very special relationship with the Ford Motor Company dating back more than 90 years. We are grateful for their generous support and we applaud their abiding respect for American heritage.